These are more recent photos of Rainham Kent although changes can also be seen from the scenes pictures compared to the present day. Rainham Spectacular 1972 - Recognise the Faces? These photos were taken in the mid 1970s at the Rainham Spectacular - do you recognise yourself or anyone else? Rainham hop pickers 1926. Great Grannie Mudge is the lady in the centre. 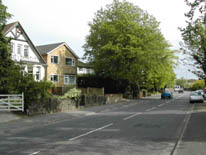 She lived in Solomon Road, next to the school. She was the mother of Hilda Mudge who married Herbert Baden Powell Gooding at St Margaret’s Church and lived with the Gooding family in her later years in Solomon Road. My great-great grandfather Horace Smith was a timekeeper at a brick field in Rainham. In 1881, aged 20, he lived with his family at 8 Broad Walk, and was described in the census as a "Clerk in Brickfield". I wonder how many local residents recognise or had one of these Rainham & District Co-operative Society Ltd Share Books? Photo of Prestige Launderette Rainham at 35 Station Road taken in about 1972. 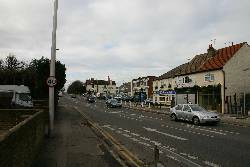 Until the early 2000s the Royal Mail sorting office was in the centre of Rainham opposite the Green Lion pub. 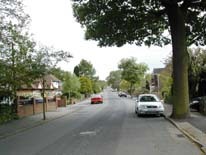 Many of the older houses in Rainham and elsewhere were given names for various blocks of houses. One set of houses in Orchard Street Rainham is known as Reads Terrace and is shown as being built in 1887. This photo of the Natwest branch in Rainham was taken in around 1972. Incredibly this is one of the few locations that is very little changed since then. I spotted this video on YouTube showing a steam fair at Great Lines in around 1965. Quality is variable but might spot someone in it! 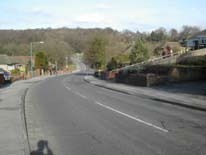 This aerial photo of Maidstone Road was taken in 2016 showing the view towards Gillingham. 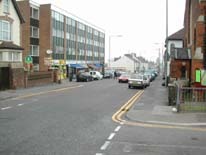 Betabake bakers was located on the A2 High Street in Rainham, the shop next door was International Stores. 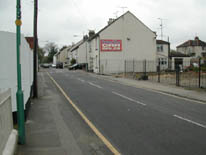 The Avenue Nightclub was formerly the Central Hotel and was located on the corner of Featherby Road on the A2 in Gillingham. The description of James (1840-1924) and Willie (1852-1916) as relatives of the wedding couple, Henry and Elizabeth, led me to consult Kent marriage records available through FreeReg.org.uk. I did not find a marriage between members of the Edmonds and Dennis or Wells families on any date since 1800. However, the source of the photo, Dave Cory Dennis, has now assured me that the bride is his paternal grandmother and that her mother, Elizabeth (1833-1922), shown seated beside the bride, was a sister of William Edmonds (1822-1902). Cover photo of The Fredville Oak at Nonington near Dover. Locally known as "Majesty" this ancient tree is possibly 600 years old.